I’m a pretty impatient person. I hate waiting in line. I walk really fast. The microwave is broken in our apartment and spending the extra few minutes on food is exasperating. And like most twentysomethings, I believe the world is my oyster. And like most twentysomethings, it isn’t. So right now, I feel like I’m in a pretty crummy, frustrating time in life and art. 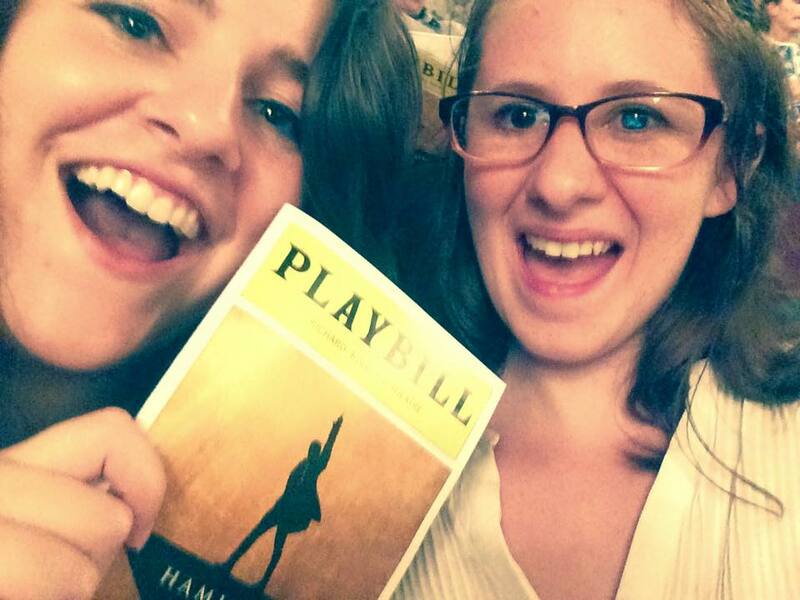 In August, I saw Hamilton on Broadway. I was impatient — I bought tickets months in advance so I could see it within a week of opening. I’m rarely moved to buy Bway show tickets, but it was that important. I was so thoroughly convinced of the genius of Lin-Manuel Miranda before seeing it, that it actually caught me off guard how great the show actually was. I didn’t think I would be affected. It’s so deeply great that I’ve spent the last weeks listening to the newly released cast album. On the subway, on my walk between my house and the studio, when I’m on the elliptical at the gym. And yes, this is stating the obvious because Hamilton is a work of universal acclaim. But I swear, it’s meaningful. I’m a tough critic. I’ve panned the last four shows I’ve seen. The last show I saw downtown was so horrendous and offensive enough to me that the first thing I whispered to my roommate after the house lights came up was, “Today is the day I quit theatre. Really.” I gush and gush about Hamilton because it deserves every honor it’s gotten. And it’s hard for me to admit that I’m so far from the finish line. Upon graduating from college, I raced to start Critical Point Theatre. I had no idea what I was doing and dove in without hesitation. The first year, I premiered two original shows that I loved. And man, they roughed up my confidence. Going to Edinburgh was still the worst and best thing I’ve ever done. After Refresh, I stumbled. And now, over a year after moving to New York, I haven’t directed another show. I produced a tryout that felt more like a mentoring process. 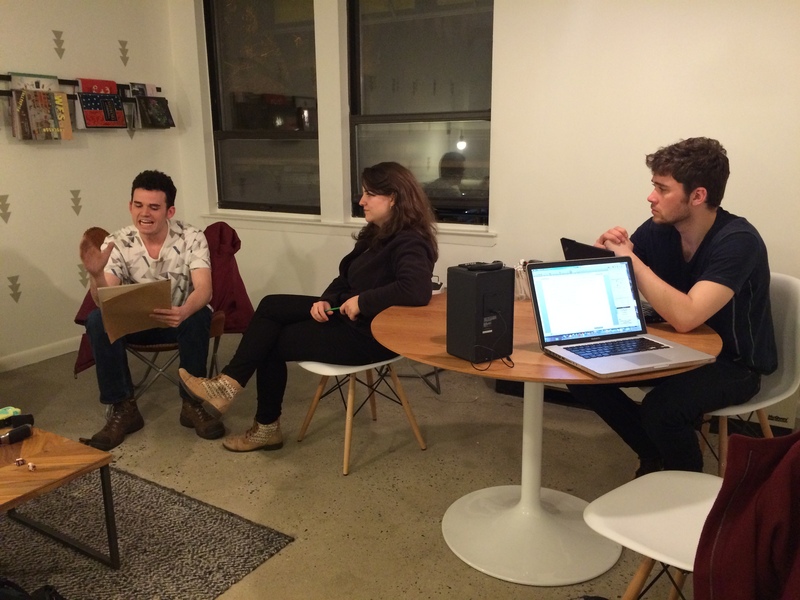 I held a couple of rehearsals for a reading. The frustration of not “doing it” sometimes overwhelms me. In this industry especially, in New York especially, people put on a lot of bravado. Every tiny career success — significant or not, deserved or not — is trumpeted into the ether. People are smug about each project, about doing something. Even if it is just busy work. Even if it’s absolutely awful. The social status aspect of all of it gets me nervous — I’m bad at playing the game. To evoke Hamilton, am I wasting my shot? It takes and it takes and it takes and we keep loving anyway. We laugh and we cry and we break and we make our mistakes. Then I’m willing to wait for it. I’m willing to wait for it. So here’s where Hamilton comes back into play. The story is one about a duality, between Hamilton and Aaron Burr. Miranda envisions Hamilton as an impatient man ready to make his mark, while Burr is cautiously waiting to play the right cards. Both, then, make critical mistakes as Hamilton’s passion makes him jump too soon while Burr misses opportunities while hedging his bets. This is genius, because Hamilton is not just a show about hip-hop and history, it’s also about critical process. Miranda expresses this brilliantly in a speech given to his alma mater, Wesleyan. It’s how I think I’ll probably feel for a long time. The duality of Hamilton and Burr are both necessary feelings as a young, inexperienced person pursuing a creative life. On the one hand, you have to put your passion to use and throw yourself out there. Write a page this week. Put the deposit down on that theater anyway. Play your heart out to a house of 5 people. On the other hand, it all feels like a waiting game. Making something that will actually last requires drafting. It requires humility, thoroughness… and, well, maturity. It means that I know I won’t have a masterpiece by the end of this year. Directing my first CapFringe show — I was 19 and terrified! The first time I directed a full-length show, I ended up essentially following it up in a string of director-producer stints that lasted two years. And now I’m cooling my heels and going back to the drawing board. I want the next thing that CPT produces to be that good. I want to take a shot, but I’m willing to wait for it. It doesn’t help my mood, though, to know how much time and heartbreak lies ahead. Even with all the right resources, a team in place, and a previous hit Broadway show, Hamilton took six years from page to stage. That’s part of the reason I’m so impressed. Not only because of how perfect the show feels, but about how breathtaking it is in form. How invested Miranda seems about the process even six years deep. It’s not glamorous to meet every week but inch only a little, little closer to the goal line. Managing appropriate expectations, waiting for people to grow up, and keeping faith are daily questions. It remains to be seen whether, with Phreaking, we waste our shot.